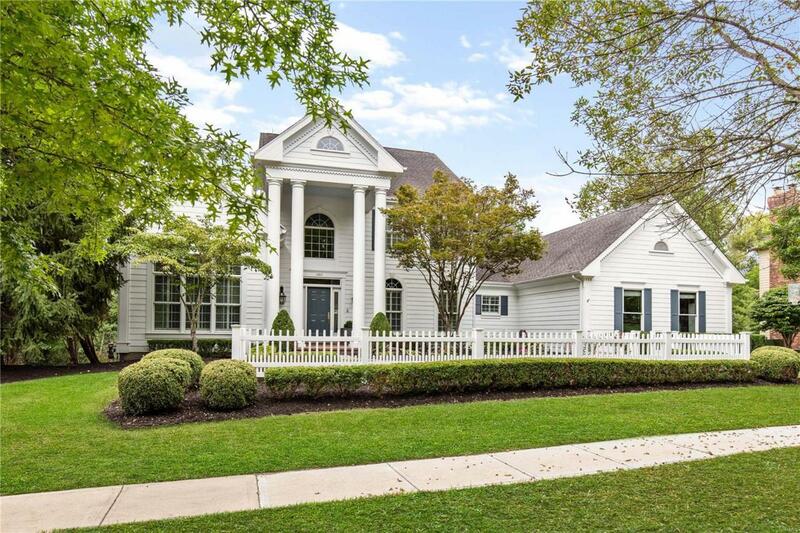 Exec 1.5 story home w/ park-like yard on premium lot w/ pool. Dont miss this opportunity! These homes are rarely on the mkt. So sought after for privacy and space that backs to common ground / woods. 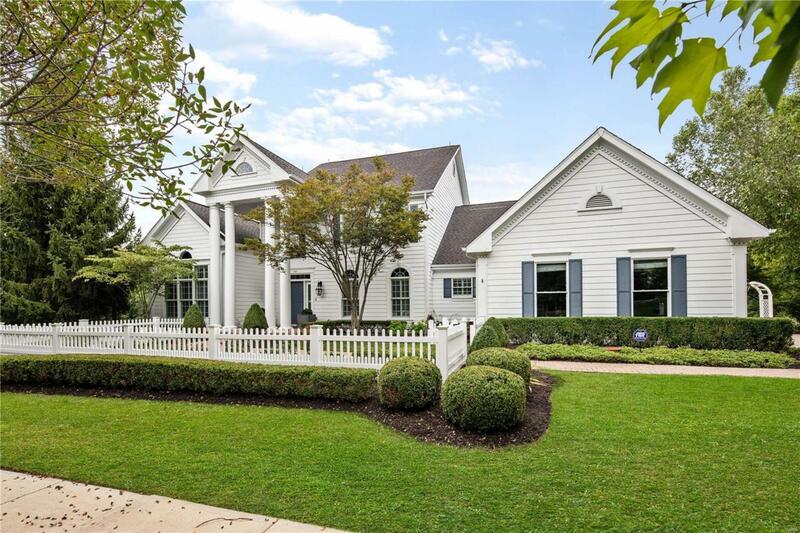 This home was re-built in 2002 w/ high-end finishes, from the 2 story foyer to the rich moulding, wood floors, marble tile, new carpet, office w/ French doors and high ceilings plus family room w/ fireplace and wall of windows. 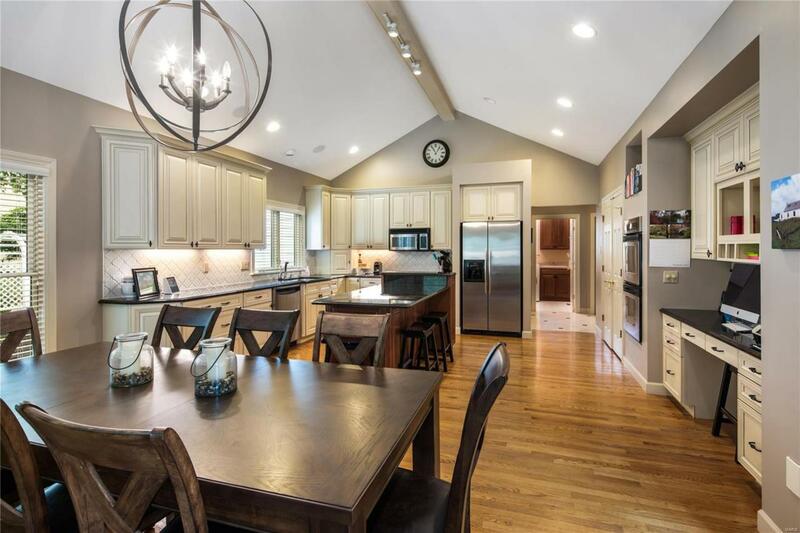 The huge vaulted kitchen is the hub of this home w/ cream glazed cabs, granite, custom backsplash and island for entertaining. Gather in the hearth room by the floor to ceiling stone fireplace on a cold night. Step onto the deck / enjoy your lush yard and pool. Main floor master w/ coffered ceiling (access the exec office) 3 bdrs and 2 ba upstairs,1 w/ en-suite the other shares jack-n-jill bath, walk in closets. 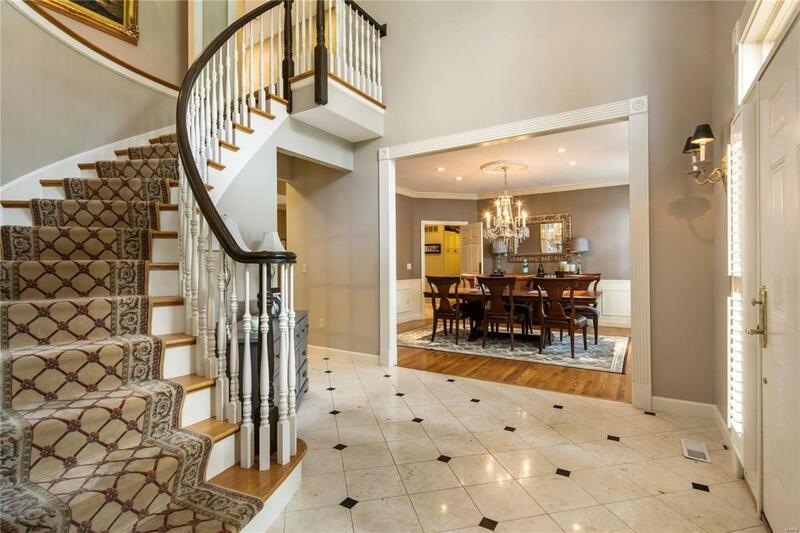 Walkout basement w/ bar, dry below deck, theatre rm and luxe guest room w/ walk in closet, (great for guests or teens! ) Walk to Chesterfield Elementary!